WhatsApp is the popular instant messaging platform with a user base of over two billion and an active user base of over one billion. 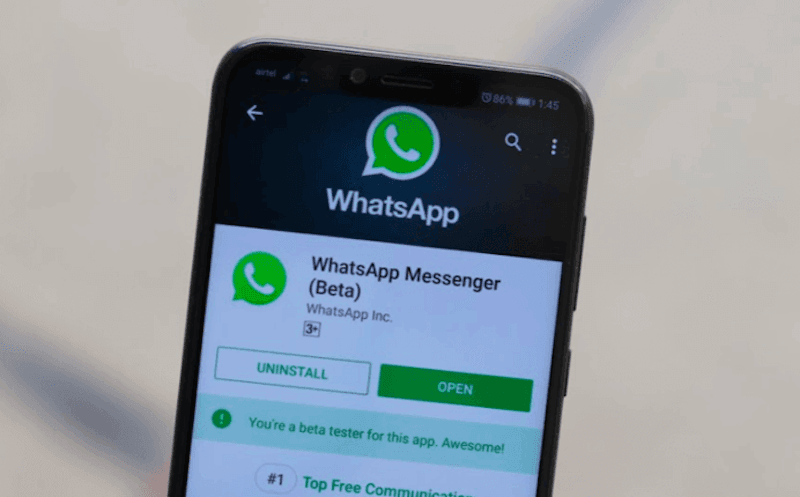 Since the last one year, WhatsApp has been on a roll as it has been constantly rolling out new features every now and then, and it seems like the same will continue going forward. In the next few weeks, WhatsApp will be rolling out new features such as Swipe to Reply, PiP video viewing mode and more importantly, it will be monetising the platform by integrating ads to the portal. So, WhatsApp will be rolling out one of the most useful features in the form of swipe to reply and at the same time, it will be adding ads to the platform which will ruin the user experience. Take a look at the features below. The swipe to reply feature on WhatsApp has already made its debut on iOS and soon it is going to be available on Android as well. The feature was spotted being tested on beta version 2.18.300 of WhatsApp Android. With this feature, users will be able to swipe on a message to reply, instead of tapping on it, selecting it and then moving ahead with the reply option. , and it makes the reply feature very quick to use. The WhatsApp picture in picture is already out for iOS users whereas, for the Android users, the feature was first seen on beta version 2.18.301 of WhatsApp. The picture-in-picture mode is a very impressive functionality which allows the users to stream YouTube, Facebook, Instagram or Streamable videos on the chat screen itself instead of opening the link on a third party application. Users will be able to move the screen around, and they will also be able to resize it, making it possible to chat alongside watching the video. This is possibly the most noteworthy update which Facebook is going to bring for WhatsApp this year. The social media giant had been eyeing monetisation for the instant messaging platform, and now it seems to be working on the idea. Facebook has said that it would be first bringing the ads for status on the iOS version. Facebook has also added that the ads would not weaken the end to end encryption. Stickers for WhatsApp were announced in the F8 Developers Conference organised by Facebook earlier this year. As per the information provided by WABetaInfo, the sticker preview was first available in the version 2.18.218 of WhatsApp. Now WhatsApp has been known to be testing new stickers under the name of ‘Biscuit’. The messaging giant had also posted a picture of the sticker pack, so it’s expected that the feature would be soon available in the future builds. Another feature which has been spotted to be in testing is the inline image notification in the beta version 2.18.291. The inline image notification will allow the users to preview the received image in the notification itself with the option of either expanding it or collapsing it. Although the feature won’t work with GIFs or other media types, there is going to be a small icon which will preview the GIFs. However, users won’t be able to expand or collapse this preview. The feature will also be only supported to Android 9 Pie users. Whatsapp is getting wierd-er by the day.